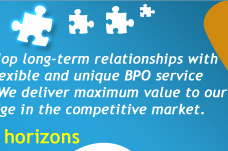 This is one of the most exhaustive and at the same time one of the most important part of most businesses. Forms have to be processed on a regular basis to maintain the required records based on which further decisions are sometimes taken. Almost all organisations deal with forms in the form of medical claims, insurance forms, online forms, insurance forms, order forms, surveys, feedback and questionnaires. Processing them takes up maximum time and this also means employing more resources. Outsourcing your form processing work to our team at Binary, will give you experienced professionals dedicated to your project providing on time deliverables. We integrate our innovation with the latest technology available to help you streamline your processing needs so that you need to put in the least amount of effort and resources. Since we have the experience of working with clients in different industries, we will be able to gauge your requirements easily and put before you the solution that will be practical rather than just sounding good. Form processing will help speed up your processes with flow of accurate information from our end. 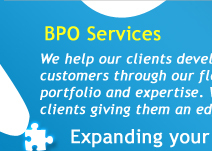 Our services are cost-effective which help improve your services to your customers. This is precisely the gap that our Travel Technology Solutions Group looks forward to fulfilling for you and help you transform and reinvent your travel and hospitality business into a galloping horse. Are you looking for a hotel booking engine, which places the emphasis on the end product, your web site and not useless features? Well, Binary can help you with its online hotel booking software for professionals in accommodation and travel.